DENVER (May 31, 2018) – Outdoor Sportsman Group Networks (Outdoor Channel, Sportsman Channel and World Fishing Network), the world’s largest aggregator of outdoor lifestyle content, present the 18th Annual Outdoor Sportsman Fishing Awards. Voting is now open for the Fan Favorite categories for shows and hosts airing on any of the three networks in 2017. Fans can vote for categories such as Fan Favorite Fishing Host and Fan Favorite Fishing Series, as well as new categories including: Best Competition Series and Best International Series. Voting will take place at http://outdoorchannel.com/vote now through Wednesday, June 27. 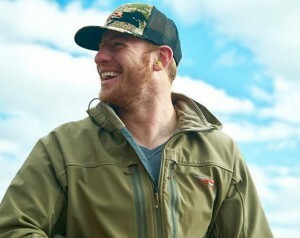 The winners will be announced on Tuesday, July 3rd prior to ICAST in Orlando, Fla.
DENVER (May 30, 2018) – Philadelphia Eagles quarterback Carson Wentz, along with his brother Zach, has entered a partnership deal with Outdoor Sportsman Group to create the network’s first digital original series: Wentz Bros Outdoors. The series will be available on OutdoorChannel.com beginning on June 5. Wentz Bros Outdoors become the first digital original series partnership for Outdoor Sportsman Group (OSG), the world’s largest aggregator of outdoor lifestyle content, and its digital platform. OSG also owns and operates three linear television networks – Outdoor Channel, Sportsman Channel and World Fishing Network, exclusive, subscriber-based, video-on-demand platform MyOutdoorTV (MOTV.com), 15 top-tier outdoor lifestyle publications including: Guns & Ammo, Petersen’s Bowhunting and Florida Sportsman, and 19 top websites including BassFan.com. Additionally, Outdoor Sportsman Group also includes television production operations, Winnercomm. 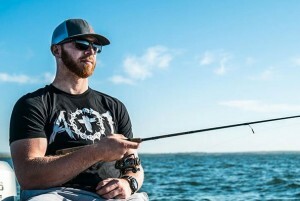 Wentz Bros Outdoors will showcase the outdoor lifestyle activities of one of the NFL’s rising young stars, along with his brother Zach, a passionate outdoorsman, through short video vignettes of hunting, fishing and shooting experiences. The webisodes will air for 16 weeks beginning on June 5 and ending in September, the beginning of the Eagles’ defense of the Super Bowl. For the third week in a row, Outdoor Channel’s Total Day ratings were up with Men 25-54 compared to one year ago, increasing +15 percent during the Week of April 23-29. Also during the Week of April 23-29, Fringe ratings increased +53 percent, Weekend ratings increased +60 percent and Overnight ratings increased +140 percent versus last year. Mutiny’s second week on Monday night improved with Men 25-54 by +87 percent. In April, Outdoor Channel ratings were up in all dayparts led by Fringe which delivered a +44 percent increase. Thursday Primetime ratings were the highest-rated night of the week for the network, led by For Love or Likes (7 p.m.) which increased its time period by +600 percent with Men 25-54 during the month compared to one year ago; Headhunters TV (Thursday, 7:30 p.m.) improved its time period versus last year by +407% with Men 25-54; Red Arrow (Thursday, 8:30 p.m.) recorded gains from a year ago by +83% with Men 25-54 and Hunt Masters (Sunday, 8:30 p.m.) experienced increased ratings during its time period from one year ago by 20% with Men 25-54. Saturday Primetime showed the most growth year-over-year increasing +194 percent with Men 25-54. Through Week No. 4 of Q2 2018, Outdoor Channel ratings paced ahead of previous year levels (Q2 2017) with Men 25-54 (+17 percent), Men 18-49 (+3 percent), Adults 25-54 (+10 percent), Adults 18-49 (+6 percent) and HH (+9 percent). “The success on Outdoor Channel is due to new programming, two strong nights of movies on Friday and Saturday, and a revitalized fringe anchored by Duck Dynasty which airs Monday-Friday at 6 p.m.,” Outdoor Sportsman Group President and CEO, Jim Liberatore said. Sportsman Channel experienced similar success and recorded its third consecutive week of ratings growth compared to last year with an increase of +18 percent in the key demo Men 25-54 during April 23-29. The network also increased in Daytime (+14 percent), Fringe (+44 percent), Primetime (+53 percent), Extended Primetime (+64 percent) and Overnight (+29 percent) compared to the same week one year ago. “Sportsman Channel’s success is due largely to increased interest in its traditional hunting, fishing and shooting mixture of programming,” Liberatore added. Overall during April, Sportsman Channel’s Thursday Primetime also was the highest-rated night on the network led by huge increases with Men 25-54 for Gun Stories (11 p.m.) and Guns & Gear TV (11:30 p.m.) compared to one year ago. Through Week No. 4 of Q2 2018, Sportsman Channel is ahead of Q2 2017 ratings levels with Men 25-54 (+7 percent), Men 18-49 (+1 percent), Adults 25-54 (+6 percent), Adults 18-49 (+3 percent) and HH (+1 percent). * Source: Nielsen Media Research, Marketbreaks, Multitrak, Men 25-54 Live Cvg Rtg, Week of 4/23/18-4/29/18; April 2018: 4/2/18-4/29/18; Year Ago: Week of 4/17/17-4/23/17, April 2017: 3/27/17-4/23/17. Daytime (M-F 6a-3p), Fringe (M-F 3p-7p), Prime (M-Su 7p-12a), Extended Prime (M-Su 7p-2a), Weekend (Sa-Su 6a-7p). DENVER (May 10, 2018) – A second wave of outdoor lifestyle celebrities from Outdoor Sportsman Group Networks – Outdoor Channel and Sportsman Channel – have committed to attend the Sportsman Channel Outdoor Fest – taking place on July 20-22 at the George R. Brown Convention Center in Houston. Recently signed outdoor celebrities Pat and Nicole Reeve (Driven, Outdoor Channel), Scott Leysath (The Sporting Chef, Sportsman Channel) and Joe Thomas (Ultimate Match Fishing, Outdoor Channel) join other familiar outdoor television lifestyle celebrities Michael Waddell (Bone Collector, Outdoor Channel), Brian “Pigman” Quaca (Pigman: The Series, Sportsman Channel) and Tom McMillan (MCMILLAN, Sportsman Channel) as guests in Houston. Tickets, as well as information about the Sportsman Channel Outdoor Fest, sponsorship packages and other involvement for the three-day event are now available and can be acquired by visiting: www.SCOutdoorfest.com. More than 3.5 million hunters and anglers live in Texas and spend more than $6.2 billion annually in their respective pursuits. The Sportsman Channel Outdoor Fest expects more than 15,000 outdoor lifestyle enthusiasts to attend the three-day exposition. The George R. Brown Convention Center will lay out the welcome mat for exhibitors from the outdoor marketplace who will showcase the most current outdoor lifestyle equipment, gadgets, clothing and recreational accessories. The three-day event also will enable visitors to meet and mingle with their favorite outdoor lifestyle celebrities during the jam-packed schedule of events including: speaking programs and discussions about outdoor lifestyle issues, as well as current events, seminars, demonstrations and more. Comcast Houston is the official entertainment sponsor of the Sportsman Channel Outdoor Fest. DENVER (May 8, 2018) – On the heels of ratings success in 1Q, Sportsman Channel continues to experience ratings delivery success in the key demo Adults 25-54 during primetime and weekends with double-digit gains thus far in 2Q. The hunting and fishing lifestyle network has delivered increased ratings of +40 percent in primetime in the demo, as well as an increase of +20 percent in the same demo during weekend viewing compared to last year. Overall, the network also is up +4 percent during total day compared to one year ago. DENVER (May 2, 2018) – The Sportsman Channel Outdoor Fest – taking place on July 20-22 at the George R. Brown Convention Center in Houston – will boast some of the outdoor industry’s most-iconic names as it welcomes it first slate of expert guests including: Michael Waddell (Bone Collector, Outdoor Channel), Brian “Pigman” Quaca (Pigman: The Series, Sportsman Channel) and Tom McMillan (MCMILLAN, Sportsman Channel), to name a few scheduled to appear. Tickets, as well as information about the event, sponsorship packages and other involvement for the Sportsman Channel Outdoor Fest are now available and can be acquired by visiting: www.SCOutdoorfest.com. With more than 3.5 million hunters and anglers living in Texas, an outdoor lifestyle consumer base that spends more than $6.2 billion dollars annually in their respective pursuits, the Sportsman Channel Outdoor Fest expects more than 15,000 outdoor lifestyle enthusiasts to attend the Sportsman Channel Outdoor Fest over the three-day exposition. The 220,000-square foot George R. Brown Convention Center will welcome exhibitors from the outdoor marketplace and will showcase some of the most current outdoor lifestyle equipment, gadgets, clothing and recreational accessories. Not only will the three-day event enable visitors to meet and mingle with their favorite outdoor lifestyle celebrities, the Sportsman Channel Outdoor Fest also will feature a jam-packed schedule of events including: speaking programs and discussions about outdoor lifestyle issues and current events, seminars, demonstrations and more.